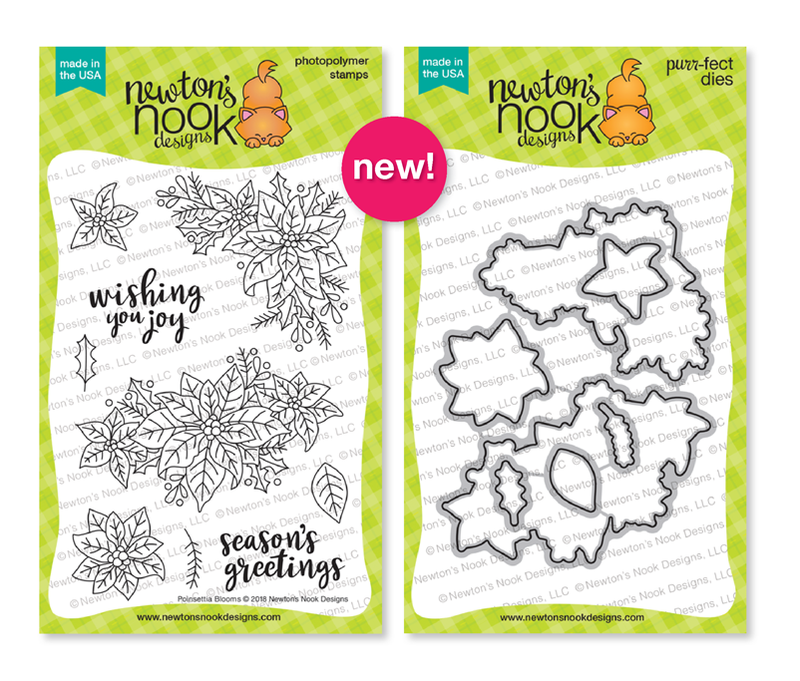 Happy Tuesday everyone It's day two of the November Release from Newton's Nook Designs and today we have two more Amazing sets to introduce. I created a background on a piece of watercolor paper with the new Plaid Layering stencil and some Distress Ink and Gold Pigment ink. Then I added some splatters of several shades of Gold ink. While the panel was drying I stamped and heat embossed the Images in Gold embossing powder on Watercolor paper. I colored the images in with Distress Inks and then used the coordinating dies to cut them out. I stamp and embossed the sentiment in Gold embossing powder as well and trimmed it out with scissors. I used an ombre effect with the stencil by applying the ink lighter as I went down the paper. Our next set today is... Winter Birds and it's coordinating Dies. I used the new Argoyle Stencil with this card and did an Ombre effect as well or just faded the stencil out and then I created the second layer with some Clear Glitter Nuvo Paste. 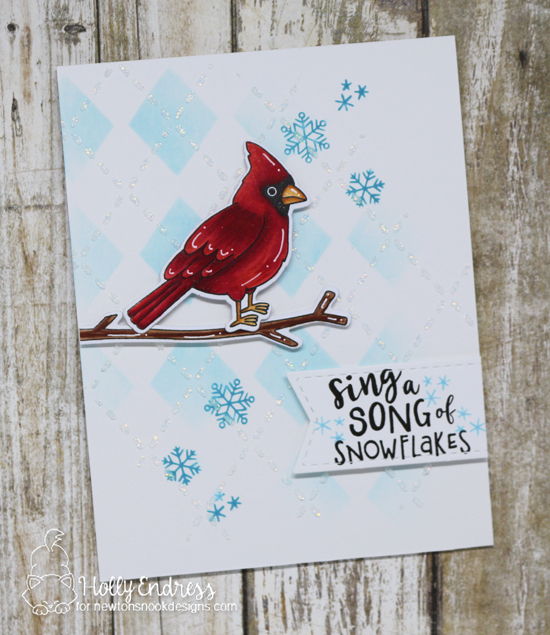 I stamped the snowflakes in the background before added the embossing paste. Then I stamped and colored the bird and branch image in with Copics and added some White Gel Pen details. I adhered the images with foam tape and then created a sentiment banner with the Flags and Frames die set. I love how you did the faded plaid! And the way you colored the poinsettas! love your cards, especially the backgrounds! Fantastic cards! I love the fading backgrounds! I love these plaids, stamps and the ombre effect is amazing! It really highlights the images! Love the plaid with the pointsettias! Oh my, Holly, I am totally in love with the way you made your plaid! Just gorgeous! And a stunning card, I might add. As a birdie addict, I also love your sweet cardinal and love the pretty BG as well. Your poinsettia card is so beautiful! I love the ombre effect for the plaid background. Your Cardinal card is so stunning! I love the background on it. 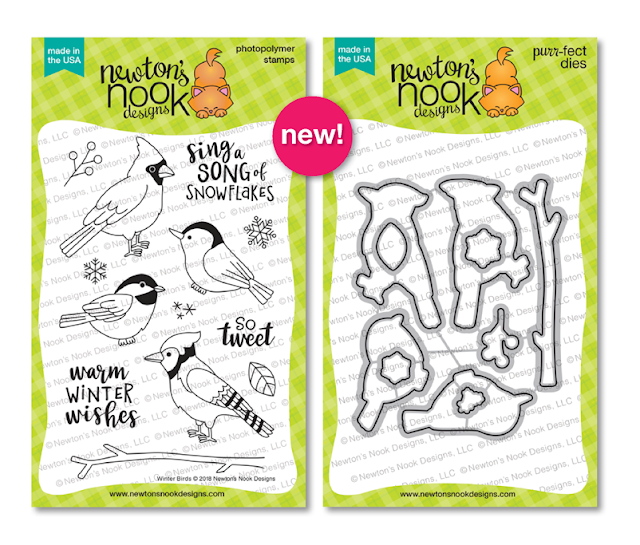 The cardinal card is fun--they're such pretty birds! I like how you added the white gel pen highlights to him. Your poinsettia card is gorgeous! I really like the plaid background used along with that lovely stamp set. OOoooo! I love the soft argyle with the BLUE snowflakes in the back of this handsome bird! How cool would it be to have just a few blue snowflakes fall IRL?!!! beautiful cards and love the soft look behind the main images. WOW amazing cards! I love how you faded the colors with the stencils for each of the bases of the cards! And your coloring is absolutely gorgeous too! Like the layers of the Poinsettia. Fond of the Winter Birds, Wonderful colors. 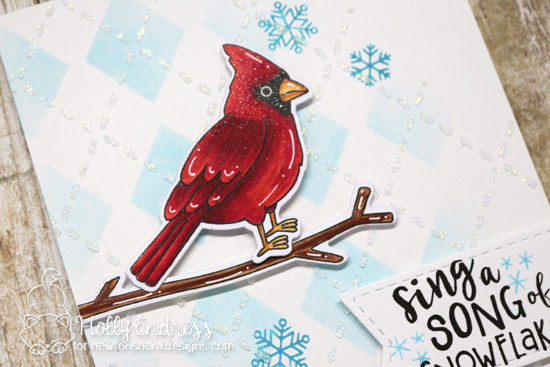 Love the golden accents on your pretty poinsettia card, and your cardinal is gorgeous! Seriously, I need to learn how to rock that white gel pen like you do!! Holly, your poinsettia card is gorgeous! I love the gold embossing on the flowers; it's very striking with the red! I like how you used gold for one on the plaid layers to bring it all together. Great job on the cardinal, as well. Holly I love your beautiful cards!! That faded plaid background is perfection!!! Love the poinsettia on the plaid! And you cardinal looks so lifelike! Your poinsettia card is nothing short of stunning! The colours you have chosen to use have a lovely vintage feel. Just love it. Cheers. Love the soft, muted backgrounds you've created. I love your cards. You did such a great job using the stencils. these stamps are so nice! Beautiful cards! 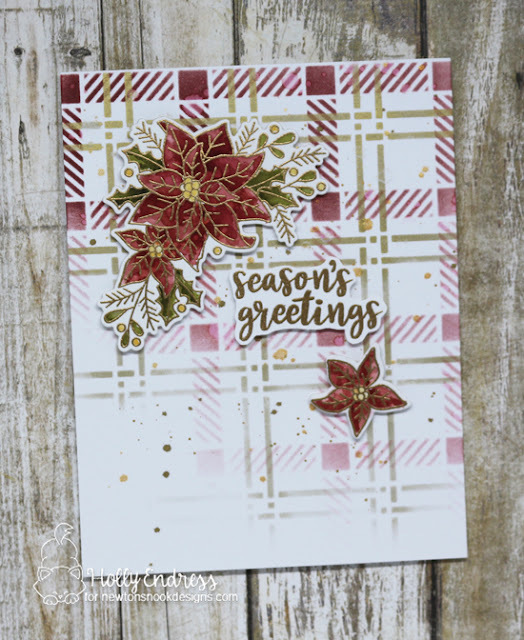 Love the use of the pretty gold ink on the poinsettia card! Owls r winners! And all those kitty's -so adorable!